The End is here! The Last Generation or nuclear generation is here! This is the generation that our Prophesied Savior, Yahshua Messiah, spoke of when He was teaching His Disciples the Prophecies of things to come in thispresent generation, where He pointed out things that He said we can see, things that have never been in any generation before us, but will be in this last generation. If everyone would think about Prophecy, the foretelling of future events, they would realize this takes more perception than has been given to mankind. Mankind cannot perceive what the future holds for tomorrow or even in the next hour. Yahshua told His Disciples, around the year 29 CE, that this huge temple that stood on Mt Zion would be destroyed with not one temple stone left standing upon another and that the mount on which it stood would be plowed like a field. Think of the perception this Man had. The Prophets all spoke being inspired by a Higher Power. They, and Yahshua, all said that Inspiration comes from Yahweh. The Savior predicted around 29 CE, just before they arrested and murdered Him, that this huge, beautiful temple would be destroyed and every temple stone would be removed. Mattithyah 24:1-2—1 Yahshua went out and was leaving the temple, when His Disciples came to show Him the buildings of the temple.2 But Yahshua said to them: Do you see all these things? Truly I say to you: There will not be one stone left sitting on top of another, which will not be thrown down. Before Yahshua made this Prophecy, the Great Prophet Micahyah, around 710 BCE, made the following Prophecy concerning the mount where the temple was built. To get the complete Plan of Yahweh you must see the history that took place in 70 CE fulfilling these Prophecies, then the Prophecies showing why. Notice the following information. The temple was destroyed 1st. Justly; because of the sins of the Jews. Understand this, the so-called Jews that controlled the temple, Jerusalem and the tiny land of Israyl were violent Hebrew people from the twelve tribes who had openly rebelled against Yahweh, Mosheh and Yahweh’s Laws since the Exodus of 1491 BCE. In verse 8, notice they left Yahweh to serve Gods. Notice what the Apostle Shaul (Paul) said concerning these violent men of the twelve tribes of Israyl. Because that, when they knew Yahweh, they did not glorify Him as Father, nor were thankful, but becameidolatrous; godworshipers (worshipers of elohim), in their reasoning, and their senseless minds were darkened. Notice the word idolatrous. They left Yahweh to serve Gods. These twelve tribes of violent men ruled Jerusalem, Babylon and Rome at that time. The Apostle Shaul (Paul) was a roman soldier who got his orders straight from the High Priest’s lips. These four religions were the frontrunners that swayed and actually dominated all the religions that inhabited Yerusalem and Israyl. These were the ones known and mentioned by the twelve Disciples and Deacon Stephen as being persecutors and murderers of Yahweh’s Prophets and became the murderers of the Apostles and their followers. Most of these murders took place after the Pharisees, Sadducees, Essenes, and Herodians moved to Rome and had their roman general Titus, who, as the roman soldier Paul (Shaul), before his conversion, took his orders from the chief priest of the Pharisees, destroy the temple and move all of the artifacts to Rome. These religious leaders were called elders in the days of Yahweh’s Prophet Samuyl. So then came the kings ruling over the twelve tribes. Each king, after King David, had his own religion giving him orders. He was moved by the majority. Unger’s Bible Dictionary closely describes the history of the idolatrous religions that took over the rule of the twelve tribes in turning them away from the Righteous Laws of Yahweh. From Unger’s Bible Dictionary, page 1208, we find the following information. Apostasy and Death. By intermarriage with many foreign women, Solomon courted spiritual declension and gross idolatry. Of the numerous deities to which his foreign wives turned his heart, perhaps the best known in the ancient world as Ashtoreth, called “the goddess of the Sidonians” (I Kings11:5, 33), since her cult was early established among the Phoenicians. This fertility goddess, known as Astarte among the Greeks and as Ishtar in Babylonia, was the protagonist of sexual love and war in Babylonia and Assyria. Her degraded moral character is revealed by the Ugaritic literature from Ras Shamra. She is pictured on a seal found at Bethel where her name is given in hieroglyphic characters. Solomon thus courted disaster. He died disillusioned and spiritually insensible. The breakup of the monarchy was soon to follow as a result of the folly of his son Rehoboam. The armies stood with and served with the religions against Yahweh’s Prophets. The following Prophecy in Daniyl is speaking of the fourth beast army, the roman army that worked for and took orders from the high priest. Please notice, it was them who polluted the temple 604 years later around 70 CE. Daniyl wrote Daniyl 11:31 around 334 BCE, saying the religious leaders along with their armies polluted the temple long before they destroyed it. History and the Inspired Scriptures show that the prophesied religions and armies would pollute and destroy the temple. These religions were called Pharisees, Sadducees, Essenes, and Herodians during the time of Yahshua Messiah. History shows that their roman general who destroyed the temple moved the artifacts to Rome by orders of the high priests. After moving to Rome, the religions and their roving roman armies took forced control of the known world and changed their name to catholic, meaning universal; that is present everywhere. Daniyl also showed this same beastly system of church and armies would still be using their evil force of laws and army forces to rule the world and even bring it to destruction just before the Creator Yahweh stops their brutal slaughter and sets up His Kingdom here on earth. Don’t miss the next segment of this letter in the 5-2013 issue of The Prophetic Word magazine. The lie told by Christianity and believed throughout the earth today is that the Jews, referring to the Hebrew people who ruled Yerusalem and Israyl, kept Yahweh’s Laws and they persecuted Yahshua Messiah and His followers because they would not keep Yahweh’s Laws. It’s a lie. Read for yourself. Acts 7:51-53—51 You stiffnecked; stubborn, and uncircum­cised in heart and ears! You do always resist Spirit Holy! Just as your fathers did, so you do also!52 Which of the Prophets have not your fathers persecuted? And they have slain those who foretold the coming of the Just One; of Whom you now have become the betrayers and murderers.53 You, who have received the Laws as they were ordained and delivered by Malakim, have not kept them! The fact is shown in your bible. The Savior, Yahshua Messiah, both practiced and taught Yahweh’s Laws. The violent Hebrews who ruled Yerusalem and Israyl did not keep Yahweh’s Laws. They practiced only traditions, as did their fathers, and they persecuted the Prophets of Yahweh, the Savior, His twelve Disciples and all who followed the Disciples. 24 But when the Righteous turns away from his Righteousness and commits iniquity, and does according to all the abominations that the wicked man does—should he live? All his Righteousness that he has done will not be men­tioned in his behalf. In his trespass that he has trespassed, and in his sin that he has sinned, in them he will die. Mattithyah 19:17—But He said to him: Why do you question Me about Righteousness? There is only One Who is the Standard of Perfection, and He is Yahweh; so if you would enter into life, keep the Laws of Yahweh.Revelation 22:12-14—12 And behold, I come quickly, and My Re­ward is with Me, to give every man according as his work will be13 I am the First and the Last, the Begin­ning and the En14 Blessed are those who keep His Laws, that they may have right to the Tree of Life, and may enter in through the gates into the city. Acts 3:19—Repent therefore, and be converted, that your sins may be blotted out; that times of re­freshing may come from the Presence of Yahweh.I Yahchanan 2:4—He who says: I know Him, but does not keep His Laws, is a liar, and the Truth is not in him.I Yahchanan 3:4, 7-8, 10—4 Whoever commits sin, transgresses also the Laws; for sin is the transgression of the Laws. These Scriptures and many others prove that what the Savior called the Pharisees, Sadducees, Essenes and Herodians are what the religions are today, even the catholics and all christianity. Yahchanan 8:44—You are of your teacher who is Satan the devil, and whatever she who is your teacher desires, you will do. She was a murderer from the beginning, and remained not in the Truth, because there is no Truth in her. Therefore, when you speak your falsehoods, you speak her words, because she is a liar, and the teacher of all lies!Acts 9:1-2—1 Then Shaul, still breathing threats and mur­der against the Disciples of Yahshua, went to the High Priest2 And he asked him for letters to the synagogues in Damascus, so that if he found any who belonged to this way, whether they were men or women, he might bring them bound to Yerusalem. For we have heard him say that this Yahshua of Nazareth will destroy this place, and change the customs Mosheh handed down to us. Then the High Priest asked; Are these things true? What was called the high priest in Acts 7:1 is called pope now. After they made their move to Rome they changed their names and all of them became known as universal (catholic). I Samuyl 7:3-6—3 Then Samuyl spoke to all the house of Israyl, saying; If you are returning to Yahweh with all your hearts, then rid yourselves of the Gods (Elohim) and Ashtaroth; goddesses, among you. Commit yourselves to Yahweh, preparing your hearts and worship and serve Him only. Then He will deliver you out of the hands of the Philistines.4 So the children of Israyl put away the Baals; Lords and Gods (Elohim), and the Ashtaroth; the Goddesses, Astarte and Easter, and worshipped and served Yahweh only.5 Then Samuyl said; Gather all Israyl to Mizpah, and I will pray to Yahweh on your behalf.6 So they gathered together at Mizpah. They drew water and poured it out in front of Yahweh. On that day they fasted, and there they confessed; We have sinned against Yahweh. And Samuyl was judge of Israyl at Mizpah. Notice, verse 6 shows this to be sin. Sin is the breaking of Yahweh’s Laws. I Yahchanan 3:4, 7-8, 10—4 Whoever commits sin, transgresses also the Laws; for sin is the transgression of the Laws.7 Little children, let no man deceive you; he who practices Righteousness is Righteous, just as He is Righteous.8 He who commits sin is of the devil, for the devil has sinned from the beginning. For this purpose the Son of Yahweh was manifested; that He might destroy the works of the devil.10 In this the Children of Yahweh and the children of the devil are manifest. Whoever does not practice Righteousness is not of Yahweh, and he does not love his neighbor! Both Samuyl and Yeremyah, the Prophets of Yahweh, show this worship of the easter goddess came from Egypt. This God and Goddess worship, called idolatry by the Prophets and Apostles, is condemned by the Creator Yahweh. Notice the words of Yahweh’s Prophet Yeremyah. Yeremyah 44:15-23—15 Then all the men who knew that their wives had burned incense to hinder Gods (Elohim), together with all the women who stood by, a great multitude in all, and all the people who lived in the land of Egypt and in the country of Pathros, answered Yeremyah, saying;16 Concerning the word that you have spoken to us in the Name of Yahweh, we will not listen to you!17 Instead, we will certainly do what we have vowed to do. We will burn incense to the Queen of Heaven and pour out drink offerings to her, just as we and our fathers, our kings and our princes, used to do in the cities of Yahdah and in the streets of Yerusalem; for then we had plenty of food, were successful, and experienced no trouble.18 But since we stopped burning incense to the Queen of Heaven and pouring out drink offerings to her, we have lacked everything, and have been consumed by the sword and by famine. 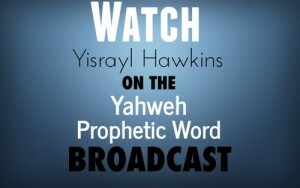 Yeremyah 10:1-5—1 Hear the word which Yahweh speaks concerning you, O house of Israyl.2 This is what Yahweh says: Do not learn the way; religious practices, of the heathen; unbelievers; and do not be deceived by the signs of heaven; though the heathen are deceived by them.3 For the religious customs of the peoples are vain; worthless! For one cuts a tree out of the forest, the work of the hands of the workman, with the ax.4 They decorate it with silver and with gold; they fasten it with nails and with hammers, so that it will not move; topple over. Genesis 3:1-7—1 Now the serpent was more subtle and crafty than any beast of the field which Yahweh had made. And she said to the woman; Has Yahweh indeed said: You shall not eat of every tree of the garden?2 And the woman said to the serpent; We may eat the fruit of the trees of the garden;3 But of the fruit of the tree which is in the midst of the garden, Yahweh has said: You shall not eat it, nor shall you touch it, or you will die.4 And the serpent said to the woman; You will not surely die. Remember the purpose for creating mankind was to make him in the Likeness of Yahweh and to give him Authority over all creation. Genesis 3:7—Then the eyes of both of them were opened, and they realized that they had sinned; they had violated Yahweh’s Laws. Because they had not kept Yahweh’s Laws, they were afraid. Satan persuaded them to sin. Read again what sin is. Don’t miss the next segment of this letter, found in the 5/2013 issue of The Prophetic Word magazine. What likeness will Pope Francis be? Unless you repent and convert to Yahweh, you will suffer much. Find out the complete details in the next segment of this letter.